Anne-Rae Vasquez's upcoming book Reveal book 3 of the Among Us Trilogy is scheduled to be released in the Fall of 2015. Her latest novels, RESIST, book 2 of the Among Us Trilogy and Imminent-a Truth Seeker Conspiracy Thriller were released in November 2014. Doubt, Book 1 of the Among Us Trilogy was a Gold winner in the Readers' Favorite Book Awards 2014. Doubt was launched at the Raindance Book Festival in 2013. The Among Us Trilogy questions what is beyond the reality of this world and ties in different supernatural religious beliefs of God, Heaven, Purgatory and Hell, angels and demons apocalypse, spirituality and fantasy by mixing themes from shows like Fringe and Supernatural to create an end of the world religious paranormal mystery thriller. 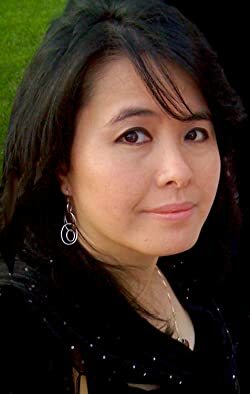 Her previous novel Almost a Turkish Soap Opera was adapted into a screenplay and later produced into an award winning feature film and web series and was her directorial debut. Her other works include: Gathering Dust - a collection of poems, Salha's Secrets to Middle Eastern Cooking Cookbook published by AR Publishing Inc. and Teach Yourself Great Web Design in a Week, published by Sams.net (a division of Macmillan Publishing). Please enter your email address and click the Follow button to follow Anne-Rae Vasquez! A collection of poems by Anne-Rae Vasquez, author of Almost a Turkish Soap Opera (published by AR&B Internet Site & Publishing Inc.) and Teach Yourself Great Web Design (published by Sams.net, a division of Macmillan Publishing).